Love Rugby League and British Ice Hockey, two JDG Media projects, have signed up as official partners for SMMEX – the Sports Merchandise and Marketing Exhibition at Wembley. The two sites will help to promote the next event, to be held on Monday 4th March 2013, while we will also have a stand at the event to network with potential new partners. It’s a timely partnership for both – with SMMEX keen to promote their next exhibition, and JDG Media looking to increase their client and partner base in both rugby league and ice hockey. Mike Corbett, of SMMEX, said: “Rugby League is one of the fastest growing sports and we are delighted to work with Love Rugby League as an official partner for SMMEX. With the World Cup being hosted in UK & Ireland only a year away, we are looking to help clubs from all levels find new ways of interacting with fans, sourcing new revenue streams, find new kit and equipment suppliers and help market them effectively to commercial partners. We are confident Love Rugby League will be a great partnership, helping develop the sport in future years. 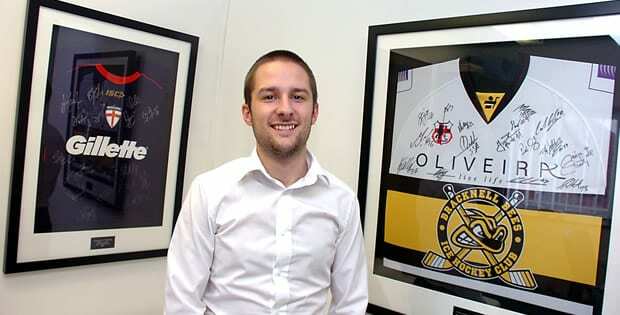 “Working with British Ice Hockey is a great honour and we are confident working with the sports leading media portal we can make a difference; helping develop new clubs and networking the Elite and Premier League teams with hundreds of suppliers and specialists. Love Rugby League and British Ice Hockey are effectively marketing tools for JDG Media within their respective sports, and act as a showcase of our services as a company. Through running these successful websites, we have been able to build partnerships and work with the likes of Warrington Wolves, Hunslet Hawks, Bracknell Bees and Newcastle Vipers in recent years. Samantha Carrison, Business Development Manager at JDG, said: “When we became aware of the SMMEX event, and through discussions with Mike, it was clear that there was a common sense partnership to be had between ourselves. “We hope to help them raise profile and interest in their event, while at the same time helping to introduce ourselves to new clubs and sponsors that we can work with in the future.